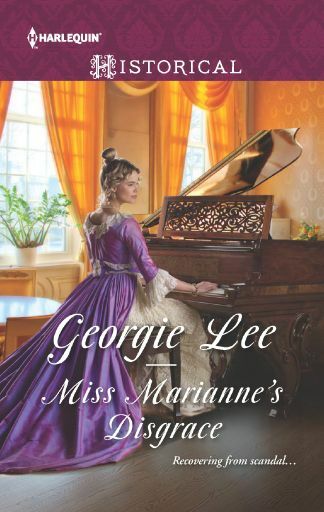 A lifelong history buff, award winning author Georgie Lee hasn’t given up hope that she will one day inherit a title and a manor house. Until then, she fulfills her dreams of lords, ladies and a season in London through her stories. When not writing, she can be found reading non-fiction history or watching any movie with a costume and an accent. Please visit georgie-lee.com to sign up for her newsletter and to learn more about Georgie and her books. Kim: San Diego! What is your favorite sight, sound, and smell of America's Finest City? Georgie: Although I grew up in inland San Diego, my grandparents lived near downtown. When I was a little girl, I used to take walks along the San Diego harbor with my grandfather. The salty smell of the ocean tinged with just a hint of diesel fuel from the boats and the slight must from the wet wood piers, the way the sun glitters off the water and the slap of wake waves against the sea wall below the sidewalk are some of my favorite sights, sounds and smells of San Diego. Whenever I’m near the water, I’m taking it all in while also remembering my time with my grandfather. Kim: Can you share a tidbit from the "interesting but strange world of the entertaining industry", such as someone fun you have met along the way? Georgie: One of my best memories of my time in the entertainment industry was the night I met Enya. I was her superfan in high school and college and I LOVED her music. I still do. I used to work in the CNN building on Hollywood Boulevard. There was an alley between the building and the parking structure where the limos bringing in stars to be interviewed on Larry King or CNN would park. The autograph hounds also hung out there. One night, as I was leaving work, the autograph hounds were there with The Lord of the Ring poster. As I was waiting for the parking garage elevator, I asked the guy next to me who they were waiting for. He said “Some singer named Enya, or something.” She’d been performing her song from The Lord of the Rings on CNN. I about died and raced as fast as I could to join the crowd waiting for her to come out of the building. I had one of her CDs in my car but I was afraid to get it for fear I would miss her. I waited for about a half hour and she finally came out. All I had for her to sign was my Day Runner notepad (yes, I’m dating myself here.) While she was signing it, all I could think was “Say something!” The only words I could choke out were “I love your music.” Then she was in her limo and gone. It was the only time in the ten years I was in Los Angeles when I was star struck. Kim: If you could pick an honorary title and manor house (real or imaginary), what would they be? Georgie: I would love to be granted the title Duchess of Devonshire and have a crack at owning Blenheim Palace. Both the house and the Dukedom are so steeped in history that I would probably spend all day walking around marveling at the lineage of the furniture, fixtures and the building. I live in Southern California where very little is over 200 years old and mid-century modern is considered antique. I would love to be surrounded by so many things of real age with connections to great events of the past. Kim: Tell us about MISS MARIANNE'S DISGRACE - what inspired it? 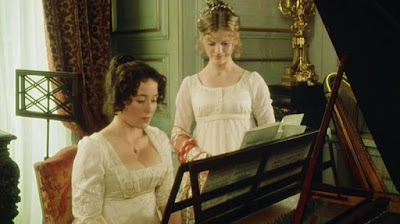 Georgie: Marianne, the heroine, was a minor but important character from my book Rescued from Ruin. Her background as the villain’s sister, and the family secret that drives her to help the hero, really took hold of me. When I was finished with Rescued from Ruin, I wanted to explore her and how her sister’s scandals impacted her. I was inspired to write the hero after I read about the writer Sir Walter Scott and how he wrote himself into fame, success and a title and then almost lost it all. I based the hero on him and made him the kind of man who could see past gossip and scandal to love the true Marianne. Kim: What's next for Georgie Lee? 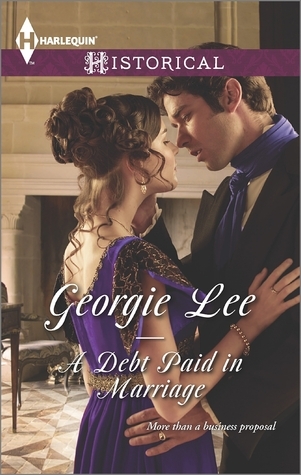 Georgie: I’m working on the third book in my Business of Marriage series. The book is Jane’s story, and at present it doesn’t have a title. Jane is the younger sister of Philip Rathbone the hero of the first book A Debt Paid in Marriage. When that story is finished, I will move on to another Regency set historical, perhaps one with a spy and a plot to bring down the government thwarted by the hero and heroine. Through his writing, former navy surgeon Warren escapes the memories of cruel days at sea. So when he finds Miss Domville's music and strength an inspiration, he's certain the benefits of a partnership with this disgraced beauty will outweigh the risks of scandal…if she'll agree to his proposal! Book #2 in the Scandal and Disgrace series. 4stars from RT Books Reviews! 1. Do you play any instruments? I play the steel drums, aka wooden spoon on a upside down pan when my children were small. 2. Comments are open through Saturday, August 13, 10 pm in Baltimore. 3. I'll post the winner on Sunday, August 14. I had 7 years of piano lessons as a child and still cannot play the piano. I liked the musical theory though. The only instrument I played was the flute in school. But I have always wanted to play piano. No, but my children can play the guitar and piano. No, I took violin for 6 months, that's it. My one daughter did pretty good on the clarinet and the other with a trumpet. They both took violin first but it's a darn hard instrument to learn lol. Piano and flute in high school and I was average ability. I took piano lessons when I was a kid, but haven't played in years. I've thought about getting a keyboard and brushing up my old skills (which were moderate at best). I played piano for a few years when I was younger but have not played in many years. I used to play the recorder. It's been ages: I took piano lessons in elementary and then played 3 different instruments in band: trumpet, mellophone, and French horn. Unfortunately, I never learned how to play an instrument. I learnt piano when I was young but that was ages ago. I don't play any instruments. I used to play the guitar. I tried violin in elementary school, but my parents made me quit after a few months. They couldn't handle the noise when I practiced. In college, I had to take one semester of piano. I could read music and play most of the pieces required, but never at the speed needed. I have several instruments - an indian flute, a dulcimer, and a few others - that I hope to learn some day. I need to make time to try.